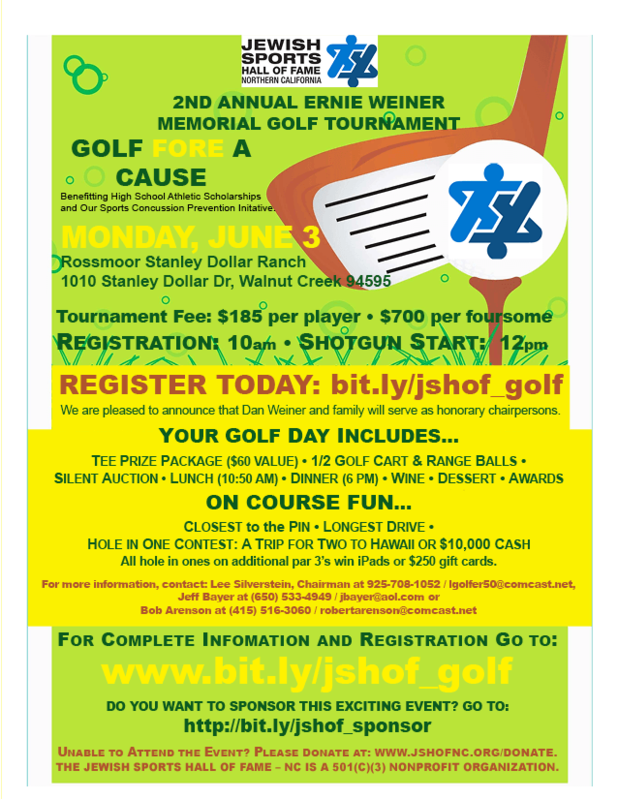 Get into the swing of things at the 2nd Annual Ernie Weiner Memorial Golf Tournament. Help raise funds benefitting the Jewish Sports Hall of Fame of Northern California’s Student Programs, which provide financial support for scholarships and student athletic activities for Bay Area Youth, as well as contribute to our Sports Concussion Prevention Initiative. Your entry fee is TAX DEDUCTIBLE to the fullest extent allowed by law. • Mulligans available at registration on day of the event for $5 each with a maximum of 10 mulligans per foursome. May only be used on tee shots & fairway shots. Cannot be used on greens or on any par 3 holes. *Vegetarian dinner option is also available. Would you like to be a sponsor of this exciting event? Arnold Palmer Sponsor: $5000 includes 4 teams, MAJOR event signage and promotion through Constant Contact and social media platforms. Jack Nicklaus Sponsor: $4000 includes 3 teams, event signage, 2 hole signs and recognition on social media platforms. Individual Hole Sponsor is entitled to a hole sign at a designated tee on the course with your name and/or company logo. 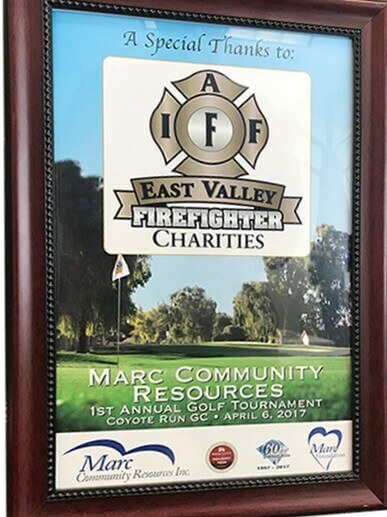 Participation will include an 11″ x 17″ framed copy of the hole sign suitable for hanging in a home or office! The Jewish Sports Hall of Fame of Northern California is a 501(c)(3) nonprofit, all-volunteer organization. There is no paid staff or administrative costs. We derive all of our revenue from sponsors, vendors, donations, event revenue, and charitable grants. We rely completely on members and volunteers for the time they devote to the events we present. Can’t make it to the event? Why not donate to help our student athletes with scholarships and concussion prevention. Visit the Jewish Sports Hall of Fame Northern California’s “Wall of Fame” on the Taube Koret Campus for Jewish Life in Palo Alto.